Ready to roll with Farm Dogs! Posted December 19, 2017 - By kristine | Comments Off on Ready to roll with Farm Dogs! This new client got ideas spinning with the renewal of some of their branding material. 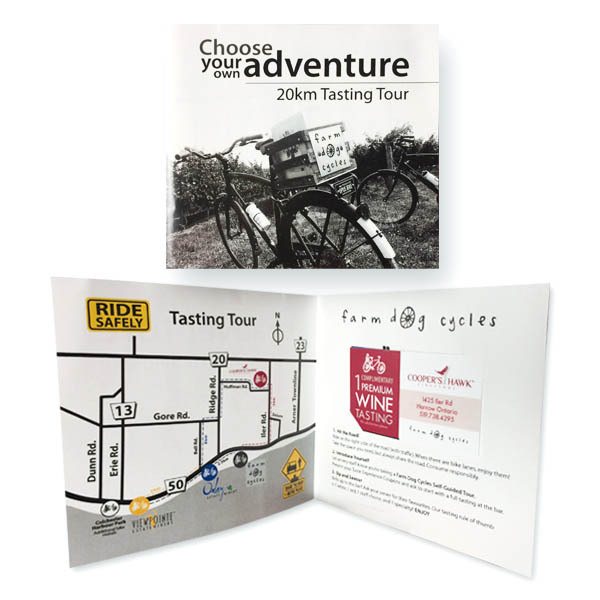 This included photoshop updates to their website background, new bike illustrated icon to match their playful logo styling, and “Choose your own Adventure” self-guided tour booklet and coupons. 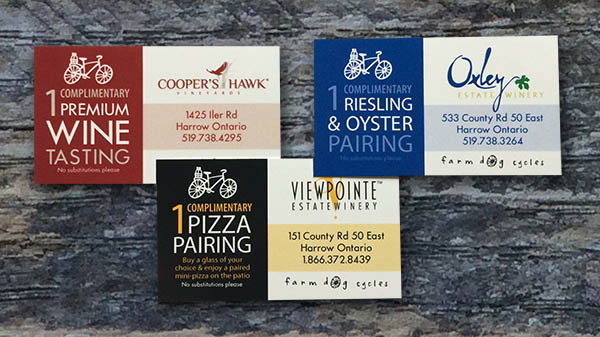 Farm Dog Cycles offers fully guided, customized tours, self-guided touring options, and quality bicycle rentals to explore the beautiful region of Southern Essex County; including Canada’s friendliest wine region – truly a hidden gem. Now booking for the 2018 season! 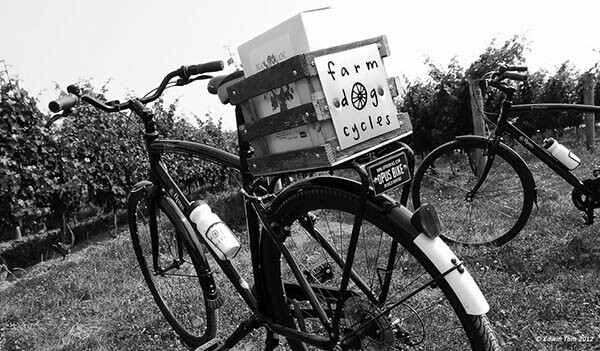 Bicycling tour of wineries with Farm Dog Cycles – Bacarro and friends! Aug 7- We’ve been working with the fabulous K Design Studio this summer plotting out new Self-Guided packages. 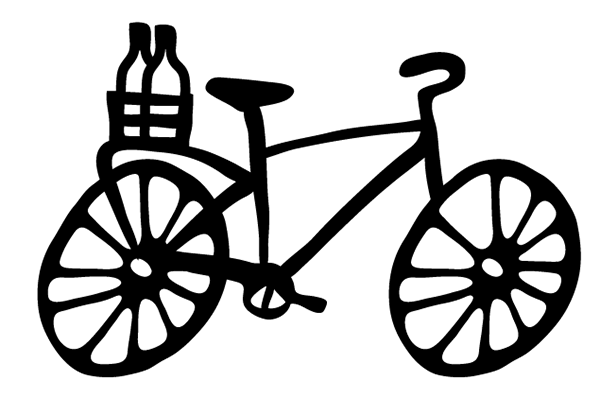 We love our beautiful little new Farm Dog bike Kris created for us…the wobbly wheel rides on! Jan 20- Thanks for your patience, encouragement, enthusiasm and your MAD SKILLS! We are so happy with our finished products to further adventures!